When record men first traveled from Chicago or invited musicians to studios in New York, these entrepreneurs had no conception how their technology would change the dynamics of what constituted a musical performance. 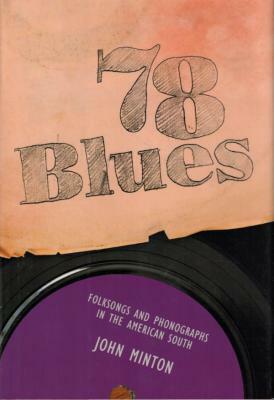 78 Blues: Folksongs and Phonographs in the American South covers a revolution in artist performance and audience perception through close examination of hundreds of key "hillbilly" and "race" records released between the 1920s and World War II. In the postwar period, regional strains recorded on pioneering 78 r.p.m. discs exploded into urban blues and R&B, honky-tonk and western swing, gospel, soul, and rock 'n' roll. These old-time records preserve the work of some of America's greatest musical geniuses such as Jimmie Rodgers, Robert Johnson, Charlie Poole, and Blind Lemon Jefferson. They are also crucial mile markers in the course of American popular music and the growth of the modern recording industry. When these records first circulated, the very notion of recorded music was still a novelty. All music had been created live and tied to particular, intimate occasions. How were listeners to understand an impersonal technology like the phonograph record as a musical event? How could they reconcile firsthand interactions and traditional customs with technological innovations and mass media? The records themselves, several hundred of which are explored fully in this book, offer answers in scores of spoken commentaries and skits, in song lyrics and monologues, or other more subtle means.